HBO's Silicon Valley is one of the best shows out there, especially for tech enthusiasts like us. The fact that Google actually got the cast to do a short intro for the Pixel launch should tell you all you need to know. 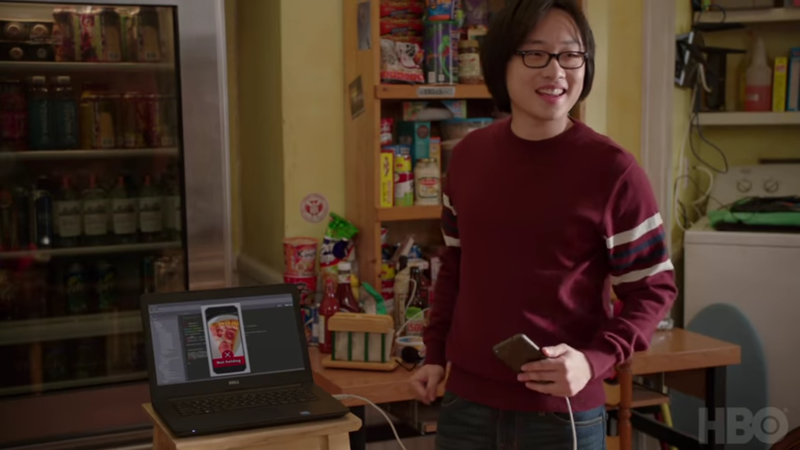 Season 4 featured Jian-Yang's brilliant "Not Hotdog" app. 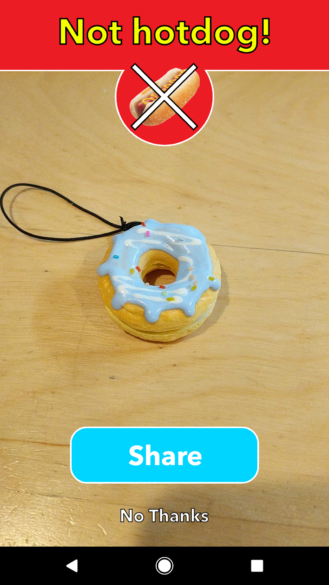 To fans' surprise, it made its way onto iOS almost immediately, but Android users were left without a way to detect if the food in front of them was a hot dog or not - until now. If you haven't watched Silicon Valley (you should, by the way), Jian-Yang initially pitched an app called "Seafood" to a venture capital firm that would show off his grandmother's octopus recipes. However, Erlich hastily changes the app to "SeeFood," a food identifier that would fare much better with the VCs than a simple recipe app. He pitches it as the "Shazam for food." Unfortunately, what Jian-Yang comes up with is a little less impressive than Shazam's capabilities. The real-life app is pretty self-explanatory; it distinguishes between hot dogs and non-hot dogs. I didn't have a hot dog on hand to test if it can identify hot dogs accurately, but it did correctly designate a little donut keychain I had lying around as "not hotdog." After the identification is done, you can share the result with friends. Given how a Pixel was used in the original TV show demonstration, it's taken long enough for the app to reach Android. In fact, it's taken so long that four copycats are available for download on the Play Store. 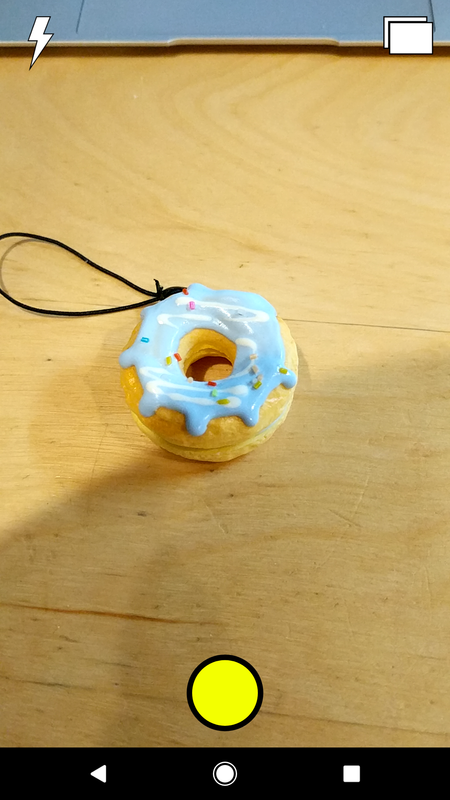 But you'll have to grab the one by "SeeFood Technologies Inc." to get the real deal.